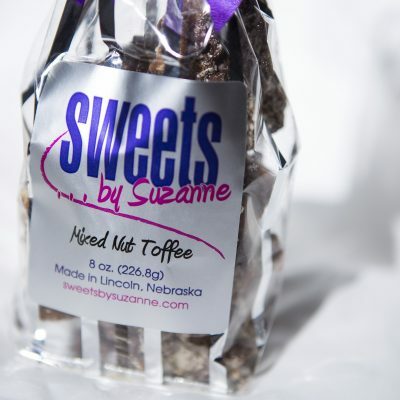 Welcome to Sweets by Suzanne! 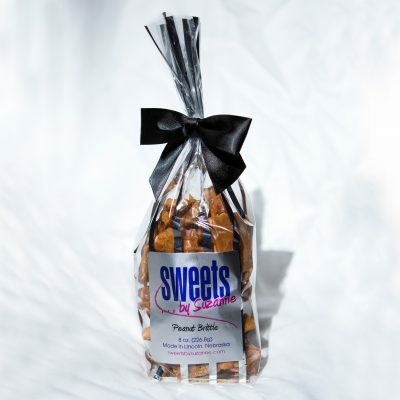 Sweets by Suzanne is devoted to making exquisite candy. 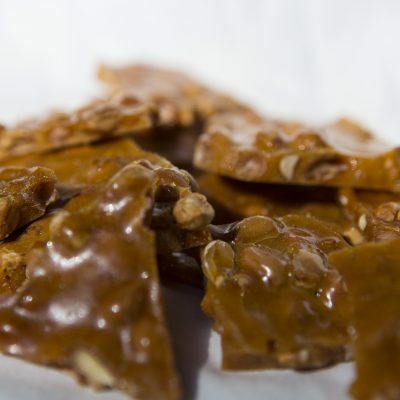 Our premiere candy is a slow cooked, homemade mixed nut toffee. People who try it for the first time say that it reminds them of their mother’s or grandmother’s toffee. Each piece is the perfect blend of crisp crunch and an easy chew that melts away in your mouth, leaving a desire for just one more piece. 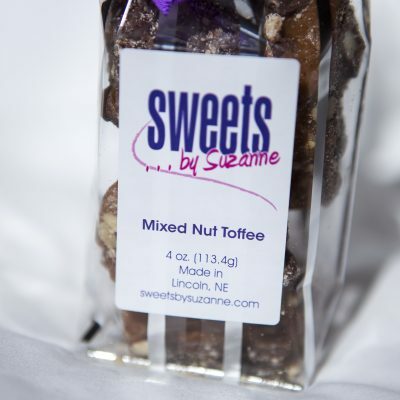 Sweets by Suzanne’s toffee makes a perfect gift for the toffee lover in your life! Now offering free delivery in Lincoln! Each hand-stirred batch is slow cooked with precision and attention to detail. 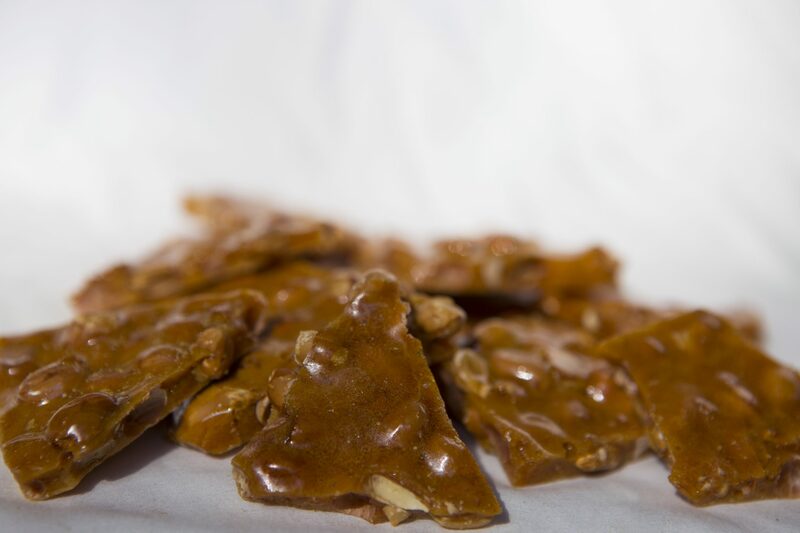 Perfect heat and timing combined with all natural ingredients creates a Toffee that is truly amazing. Buy two 1/2 lb. 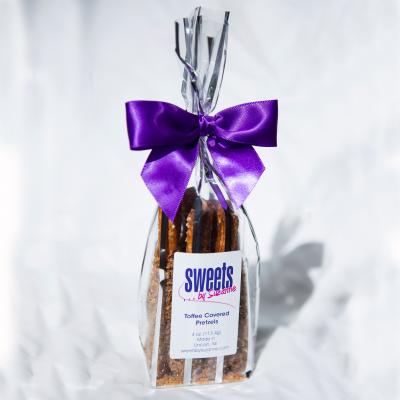 bags of toffee or brittle (mix and match is fine) and get a free 4 oz. toffee! Want to sell my candy in your store? Just contact me and we can talk specifics. The best toffee I have ever tasted. So fresh and tasty it makes your mouth water for more! You can’t help but have one more piece; then you find yourself asking “Who ate all my toffee? ?” Oh yes, it was me. I come from a long line of candy-lovers who are well educated about the best commercially produced chocolates. 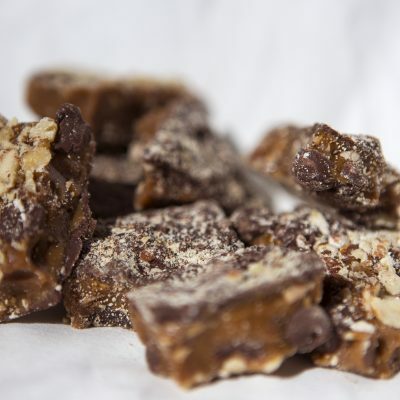 Your toffee could give ANY company a run for their money. It is so crisp, nutty and the chocolate is WONDERFUL. I have given it to many people as gifts, and they all were really pleased. I just love it!! 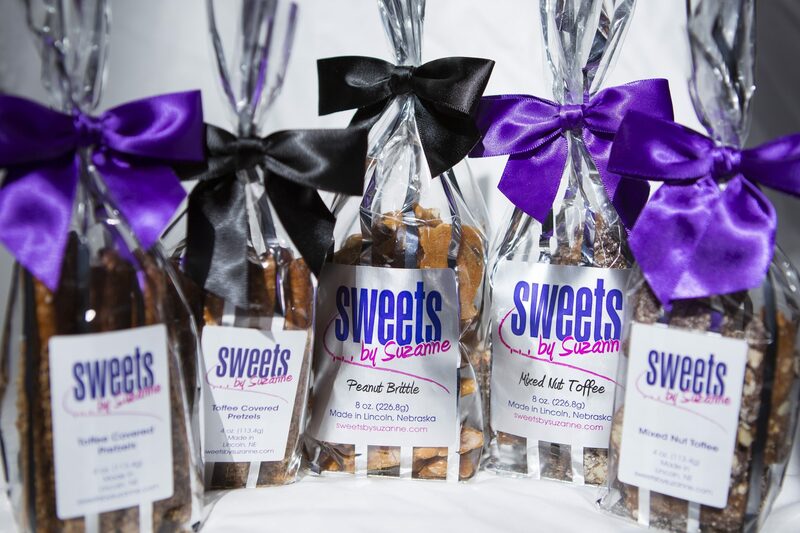 Have toffee delivered to your door! I use PayPal for your security and convenience.